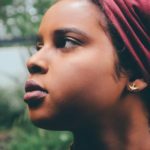 Momtaza Mehri is a poet, essayist and co-editor of the digital platform Diaspora Drama. Her work has been featured in DAZED, Buzzfeed, Vogue, BBC Radio 4, Real Life Mag and Poetry International. She is a Complete Works Fellow and winner of the 2017 Out-spoken Page Poetry Prize. Her chapbook sugah lump prayer was published in 2017.